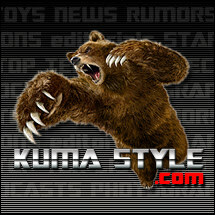 Toy Nippon: BBTS News: DC, Diamond Select, Age of Ultron, Gotham, Walking Dead, Ghostbusters, Marvel & More! 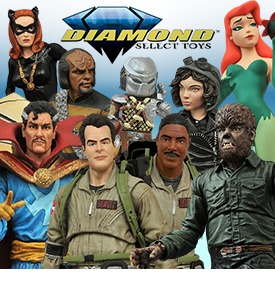 BBTS News: DC, Diamond Select, Age of Ultron, Gotham, Walking Dead, Ghostbusters, Marvel & More! Teetering over 24" tall, the Clown Prince of Crime is sporting an impeccably tailored recreation of his weathered purple pinstripe suit, and waves his 'Ace of Spades' revolver in one hand, while the other conceals more tricks up his sleeve. With one look at the maniacal glint in his eye and disturbing smile etched across his face, you can almost hear Mark Hamill's lilting voice deliver the Joker's jeering taunts, as Gotham City's most sadistic villain positively sways in anticipation of going face-to-face with Bats once again. Three of Gotham City's most dangerous villains stand ready to take down the Dark Knight with this special 3-pack action figure set based on designs from the best-selling video game Batman: Arkham Origins! Electrocutioner, Dr. Harleen Quinzel, and Lady Shiva each come with multiple accessories! By the hoary hosts of Hoggoth! Marvel's Secret Avenger, supernatural Defender, Sorcerer Supreme and soon-to-be cinematic superstar Dr. Stephen Strange is the newest comic-based action figure in the Marvel Select action figure line! Measuring approximately 7 inches tall with 16 points of articulation, Dr. Strange comes with a diorama display base depicting part of his Sanctum Sanctorum. Thor spins mighty hammer Mjolnir into action with this highly detailed action figure by Marvel Select. This Thor figure features multiple points of articulation, alternate head and fist, hammer, and ''spinning hammer'' accessory. Mighty Fine has teamed up with Emerald City Comicon, Wade Schin, and Transformers to bring you this exclusive Soundwave Vinyl Figure! This unique vinyl Soundwave stands 7" tall and measures 5 1/2" wide. Saint Cloth Myth EX Leo Aiolia God Cloth from the new Saint Seiya -soul of gold- anime has finally arrived! Leo comes in a stunning gold Cloth armor with striking wings and a variety of accessories. 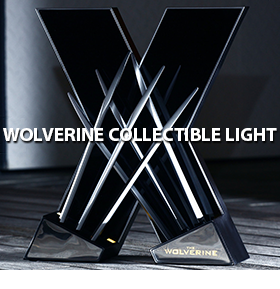 Leo can be displayed with his mask on or off, letting you re-create key scenes from the anime for $97.99. Saint Cloth Myth EX God Stage Set is a bold new statement for displaying your Cloths. The stage surface is finished in a luxurious velvet material and accommodates both Saint Cloth Myth EX and Saint Cloth Myth figures and is listed for $24.99. McFarlane Toys celebrates the New England Patriots title-winning season with the upcoming NFL Super Bowl 3-Pack that includes Tom Brady, Rob Gonkowski, and Julian Edelman. Each highly detailed figure is showcased in their white and blue uniform with official Super Bowl XLIX patch, as worn during the championship game! In an alternate universe, very different versions of DC’s Trinity fight against the government after they are framed for an embassy bombing. These new figures from DC Collectibles are based on designs from the upcoming animated film Justice League: Gods and Monsters. The first wave includes Batman, Superman, and Wonder Woman. Kotobukiya's ARTFX+ line-up of Marvel NOW! Super Heroes expands to cover the X-Men team. First up is none other than the team leader himself, Cyclops! He looks great in the highly detailed 1/10 scale sculpt, ready for action on his own but looks even better displayed with other members of the X-Men team! This design is based on art work by Adi Granov that was specially commissioned for this series. These Bobbleheads by Dragon feature a unique look and design based on each character from the upcoming Avengers: Age of Ultron film as well as a logo-themed base. Hulk is 6 inches tall and listed for $39.99; Hulkbuster is 6 inches tall and listed for $44.99; and Iron Man Mark XLIII, Captain America, and Thor are 5 inches tall and listed for $34.99 each. Even your favorite superheroes have bad days! These four and one-half-inch plush figures are weighted on the bottom to retain a slouchy posture and have adorable look of frustration. The Box of 12 includes Hulk, Iron Man, Captain America, Rocket Raccoon, and Groot for $89.99. These five characters plus Deadpool and Spider-Man are available individually for $8.99 each. Making her debut into the Marvel movie universe in the upcoming Avengers: Age of Ultron film is Scarlet Witch, the twin sister of Quicksilver who can harness magic and engage in hypnosis and telekinesis—and she is can be yours in the Pop! Vinyl figure format! White and Vivid are joining the 35 Mechatro WeGo series. 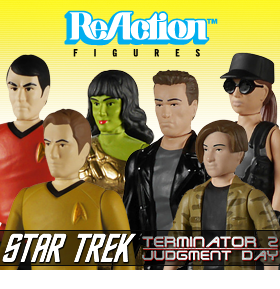 These compact 3 inch figures are made of die-cast and plastic parts and articulated for easy posing. Some parts are interchangeable with other 35 Mechatro WeGo figures for a customizable feature. This handy desk accessory showcases Oliver Queen's own accessories while storing your pens, pencils, paper clips, and more with two spacious chests! Made of high-quality resin and measuring approximately 6" tall and 6" wide, the Arrow TV Pen and Paper Clip holder makes an excellent functional addition to any fan's desk or collection! Fan favorite Agent Melinda May is finally joining Agent Coulson in the Pop! Agents of S.H.I.E.L.D. lineup. Agent May is an ace pilot and weapons expert, nicknamed “the Cavalry”, who does whatever is necessary to complete her mission. #004 Batman and #007 Superman are getting the Hybrid Metal treatment with 5.5 inch tall die-cast action bodies, over 20 points of articulation, LED light up features, interchangeable hands, poseable fabric cloaks and character specific accessories. Batman is $80.99 and Superman is $67.99. Citizen Set 01 is a group of mini figures that come in an array of figures in robot and vehicle mode. These figures are designed as companion pieces to the Maketoys Utopia figure. Ana Ishikawa was trained from childhood to be a warrior and assumes the guise of death incarnate, Shi to avenge the death of her father and brother against Masahiro Arashi. This Shi in Battle Armor figure by Phicen features their new super flexible seamless body with stainless steel skeleton and a huge list of weapons and accessories. T.O.T.E.M. is a select few that are part of a covert group whose mission is to investigate and eradicate the interstellar horrors that are plaguing the universe. They are the Earth’s first line of defense. The THUG remote operated bots are capable of taking the enemy head on and are their weapon of choice. The 1/6 scale Pugillo Figure designed by Ashley Wood stands 16 inches tall and features 61 points of articulation including fully articulated fingers and light up eyes (batteries not included). 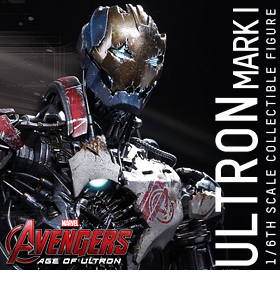 The unkillable robotic creation of Dr. Hank Pym, Ultron is depicted in his classic form, in the same 7-inch scale as the rest of the Marvel Select line. Plus, he comes with a detailed display base depicting the fallen forms of Ant-Man and the Wasp, and features multiple points of articulation, for a variety of humanity-despising poses. This seven-inch Marvel Select release features the mutant in his most famous classic look and features an interchangeable unmasked head, multiple points of articulation and a Danger Room base (a prototype showing the attachments is pictured). DST hints that more Danger Room base sections are planned for future MS figures (Colossus a strong contender) and that they will be able to be connected together to form a larger display. Australia's Striker Eureka is the biggest and heaviest 18" Scale Jaeger figure yet, and features blue and red LED lights in the head and chest. Striker Eureka is made with exacting detail from the actual digital files utilized by ILM in the creation of the film, with plenty of articulation for heroic poses. Batteries included. Some great new import items have landed in our warehouse today and can be found in this menu. 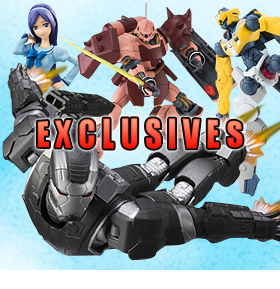 This list features the GFF Metal Composite Banshee Norn for $179.99, Super Robot Shogokin Mazinkaiser SKL for $87.99, Robot Spirits 00 Gundam Seven Swords for $31.99, and Saint Cloth Myth EX Cancer Deathmask Surplice for $79.99. Armed with a sword and firearms, Super Robot Chogokin Mazinkaiser SKL is a force to be reckoned with. With interchangeable hands, SKL can be posed powerfully wielding his sword in a single or double-handed grip as seen in the anime. Both guns can be removed from his chest armor for endless posing possibilities! Attach his billowing cape for added presence and a powerful effect. With his top-class detail and articulation, Mazinkaiser SKL is a formidable, must have addition to the SRC line. Made in close cooperation with Mattel and He-Man historians, The Art of He-Man and the Masters of the Universe collects over 30 years of behind-the-scenes material, lore, and classic imagery! The Art of He-Man and the Masters of the Universe includes rarely seen images of concept sketches, prototypes, and more from Mattel’s archives. Featuring beautifully restored art from master illustrator Earl Norem—celebrated artist of the most memorable He-Man images! Deadpool crouches in preparation for an attack, drawing one of his swords from the sheaths on his back. He wears his iconic red and black costume complete with an abundance of straps, pouches, extra ammunition, spare weapons, pointy hood with mask, and of course his cute Deadpool logo belt buckle. Deadpool stands 6 inches tall with perfect stability on his included magnetic display base. He is of course awesome all on his own, but he also works great with teams and looks fantastic alongside Marvel ARTFX+ statues! This puzzle contains 550 pieces and features Link and the other characters from the tenth installment in the Legend of Zelda series of games. The completed puzzle is designed to resemble a stained glass window. This set of five is the complete set to make the combiner figure War Lord. Each figure will come without packaging, but will be individually wrapped in plastic and will still include the trading card, instructions, and all accessories. This set will contains UT-W01 - War Hawk, UT-W02 - War Rhino Ironhead, UT-W03 - Savage Bull, UT-W04 – Violence, and UT-W05 - War Leo (Sharp Claw). Metal Earth is a collection of intricately designed model building kits. Each kit consists of remarkably detailed laser etching cut onto one or more four-inch square sheets of thin metal. Simply snap out the eight to twelve pieces, bend the tabs to attach them together and create replicas from Halo that fit in the palm of your hand. Striking to look at, especially when placed to catch the light, most Metal Earth models take less than an hour to assemble, and on average measure about 3”- 4” long when completed. We have Master Chief Helmet, Warthog, Pelican, and Mantis for $11.99 each. When Hordak enslaves her people, this rightful ruler of Bright Moon doesn’t take it lying down. She rises to the occasion and flies into action to help liberate the land! Angella comes with her sword, a detachable halo, and detachable articulated wings along with a Castle Grayskull cut away map. 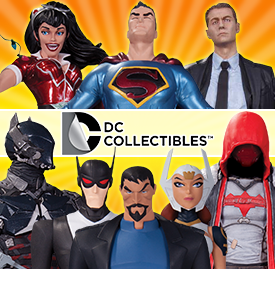 DC Comics fans of all ages will love these 12" figures of their favorite characters. Batman and Superman come to life in this epic scale and feature 9 points of articulation for great battle action. Get them in a set of 2 for $21.99 or get Batman for $10.99. Hot Wheels and Star Wars have joined forces! Kids and collectors alike will love seeing their favorite Star Wars characters reimagined as 1:64-scale Hot Wheels cars. Iconic villains, heroes and sidekicks are paired together and designed to retain the “Force” of their iconic Star Wars characters. This set of Two Packs includes R2-D2 with C-3PO and Chewbacca with Han Solo. Transform your favorite character from Disney’s Big Hero 6, Baymax, from his white, Nursebot form to his crime fighting, super hero form. Use the over 20 body armor pieces to Armor Up the 6” Nursebot Baymax figure and construct a powered-up version 8” super hero figure ready for action. Easy to assemble and fun to transform back and forth as you re-enact all your favorite moments when Baymax prepares for battle and returns to his lovable form. “I want to believe”. That is the driving force behind Agent Fox Mulder as he joins Agent Dana Scully in their investigation of the X-Files. Now you can add Mulder, Scully, The Cigarette Smoking Man, and the Alien to your Pop! Television collection! The Spitter, also known as the Ranger, is a Xenomorph caste that was encountered by Colonial Marines from the USS Sephora on Acheron (LV-426). As its name implies, it attacks by spitting large quantities of acid at enemies, typically from some distance away. This Alien Spitter is designed in the 1:18 scale and will stand roughly 4" tall and includes the egg, facehugger, and 3 sets hands. These 1/6 scale 7.62mm M-110 Carbine rifles come with all the parts needed to assemble authentic looking weapons for your 1/6 scale military figures. We have Sphinx, Cryphon, Chimera, Serpent and all come with a display shelf. Fox Mulder and Dana Scully encounter this creature as they become embroiled in a vast Alien conspiracy while investigating the X-Files. This statue by Reel Images is 15” tall and listed $49.99, an incredible $100 savings! ThreeZero continues bringing amazingly detailed figures to the world of collecting with Isaac Clarke from Dead Space 3 dressed in his arctic RIG suit and armed with his trusty Plasma Cutter and a deadly Aug Shotgun; and Marvel’s Doctor Doom in Stealth and Classic versions both standing over 13 inches tall and fully possible with rubber material wrapping both arms & legs and LED light up features (batteries not included). Isaac Clarke is listed for $184.99 and the Doctor Doom figures are $189.99 each. Create your own Adipose using the three Adipose figures and it will seem as solid as a statue. When you look away the Adipose will slowly melt into a puddle! Recreate the small Adipose figures using the card blister and decorate using the eyes and mouth parts provided. IF-EX05 Upgrade Figure is in the Legend Class scale and is an add-on figure to go with a certain transforming city. The almost 12-inch tall Atlas Kai will come armed with the XOTBR-16 Chaingun and Plasma Railgun. The mech will also come with a non-articulated Pilot that can be display on top of the mech, or perched in the Atlas' open cockpit.